We’ve never seen anything like it. A 25 per cent increase in power across the whole rev range, reduced fuel costs, better exhaust gas emissions – and the government will pay half the cost of the work! Read that again – the Australian government will pay half the cost of the performance modification! Adding LPG fuelling to a diesel, that’s what. And any type of diesel! It’s one of the most amazing modifications we’ve covered in nearly a decade of AutoSpeed. The first thing to understand is that the LPG is used as an ancillary fuel. An additive, if you like. The original diesel fuelling system – whether that’s a mechanical distributor pump, common rail direct injection or electronic unit injection – stays completely intact and unmodified. The car runs on diesel as it did before. However, the magic comes in the addition of LPG to the diesel fuelling mix. The LPG is added in vapour form prior to the turbo (in turbo engines) or prior to the inlet manifold (in naturally aspirated engines). 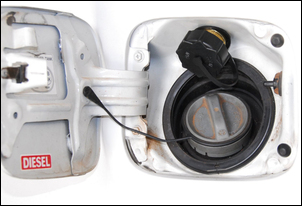 The LPG, comprising about 25 per cent of the diesel flow, burns along with the diesel in the cylinders. The combination of the diesel/LPG fuel gives the greater power output and lower emissions. The reduced running costs come from an improvement that is realised in diesel fuel economy – and the fact that LPG is a cheaper fuel than diesel. And if you think all this means some kind of bodgy system complete with a space-robbing gas tank – think again! We’re talking an electronically controlled and custom mappable professional LPG injection system, complete with a tank so small that in some applications it can be placed under the vehicle! 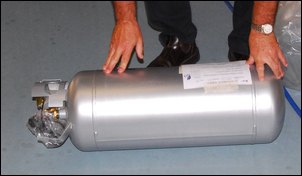 The company behind the product is Diesel Gas Australia. The head office is in Adelaide – that’s where we caught up with them – but they have authorised fitters around Australia. The general manager of Diesel Gas Australia is Kingsley Songer. Mr Songer went to great lengths to describe the training and accreditation process that prospective installers need to undertake, so the service from these fitters should be to head office standards. So what makes up the gas system? The main hardware is from huge automotive LPG systems manufacturer Lovato. This company provides the injector (a single unit is used), converter and filter. The tanks are made by Manchester. 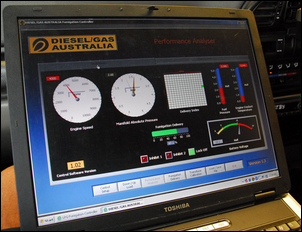 Diesel Gas Australia has developed the ECU and the laptop software associated with it. The tank is mounted either in or under the vehicle. Because of its small size, total mass is kept low. A gas line runs forward to the converter that is placed under the bonnet. The converter is heated by the engine’s coolant system. Following that is the filter (on which two pressure sensors are fitted – more on this in a moment) and gas then flows to the single injector. 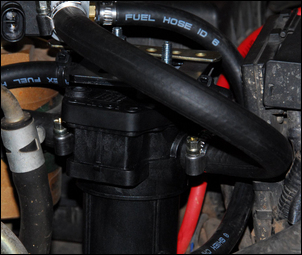 The injector feeds a hose that conveys the vapour a short distance to the intake. The ECU has inputs from a manifold pressure sensor (on turbo engines) or throttle position sensor (naturally aspirated engines), engine coolant temp sensor, tacho and LPG fuel pressure sensor. 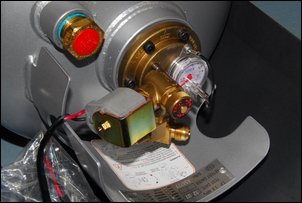 The last sensor is used primarily as a safeguard, cutting off LPG flow if an open fuel supply hose is detected. The ECU software allows correction for engine temp and a few other variables. 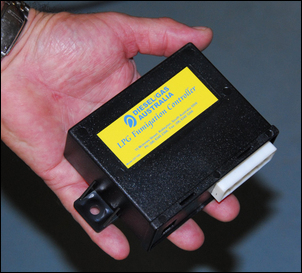 It’s by no means a high order programmable ECU but appears to have sufficient control functions to be able to do the job. Safety of the installed system looks good, with normal automotive LPG legal standards being met. 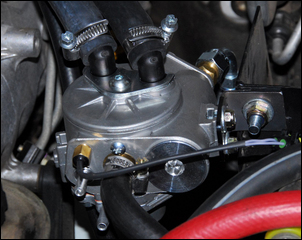 The underbonnet components are very compact – there would be few vehicles where the converter and the filter could not be installed. The ECU goes in the cabin and a combined LED bargraph fuel gauge / switch is on the dash. One of the oddities of the system is that it doesn’t matter if you run out of LPG – the car doesn’t need the LPG to run and so it just reverts to normal diesel operation. It’s possible for the driver to switch the system on or off as wished - normally, the system is left always activated. The LPG parts and labour have a warranty of 3 years and 100,000km (the ECU for 12 months and unlimited km). However, if the vehicle is under a new car warranty, Diesel Gas Australia suggests you take out an insurance-based new car warranty available from them. Diesel Gas Australia has lots of dyno graphs of LPG diesel systems versus the standard diesel. Unfortunately, most of the graphs are for a previous mechanical gas injection system, rather than the current electronic system. However, all the graphs show a ~25 per cent increase in power. But the key thing to notice is that in most cases, the power is up across the full rev range! That makes the performance gain significant - the power increase is not just at the top end of the rev range but at the engine speeds most often used. One dyno graph able to be provided by the company was the before/after results on a 4.2 litre Toyota 100 series Landcruiser. Peak power went from 108 to 136kW, a gain of 26 per cent. Peak torque rose from 351 to 418Nm – an improvement of 19 per cent. The power improvement was strong from 2000 – 3800 rpm, in this case falling away to zero at the top end. We were unable to assess diesel fuel economy but it seems reasonable that with greater power being produced and an unchanged diesel fuelling system, less ‘throttle’ will be needed in any given situation, resulting in reduced diesel consumption. We were able to drive a 2006 Musso 290S 4WD ute on the road. As one of the slowest diesels we have ever driven – not helped by the 40 degree C ambient temp – the Musso was the slug to end all slugs. It was just OK at higher revs (eg 3500 - 4000) but down the bottom it was terrible. Pressing the dash-mounted switch activated the LPG injection. So did the Musso rear up on its back wheels and charge off into the distance? No it didn’t. But it certainly had noticeably better bottom end and as a result, the turbo felt as if it came on boost earlier. The top end was also a little stronger. If quizzed we’d have guessed something like 20-25 per cent more bottom end urge and perhaps 10-15 per cent more at the top end. The cost of having the system fitted is AUD$4000. That price does not include a dyno tune to map the system to the specific car – something we’d suggest would be obligatory in any performance car application. The sting in the tail is that the Australian government will refund $2000 of the system cost! 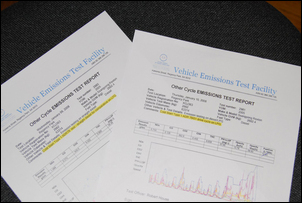 We reckon that this system has immense potential for sporting diesel cars. Put ancillary LPG on any modern turbo common rail diesel (the power gains are said to be the same irrespective of the diesel injection system) and you’re starting to talk outstanding performance. Add to that the dollar savings in replacing with LPG a proportion of the consumed diesel, the lower emissions, and the well-proven gas technology - and it looks a killer application.